Please note folks, this product need to be activated within 5 days of the official promo date. After that, the license won't work. So hurry up! How many photos do you have on your hard drive? Hundreds? Ha! Maybe back in 1993! Today most of us have thousands if not tens of thousands of photos stored on our computers. That's a lot of data to navigate! 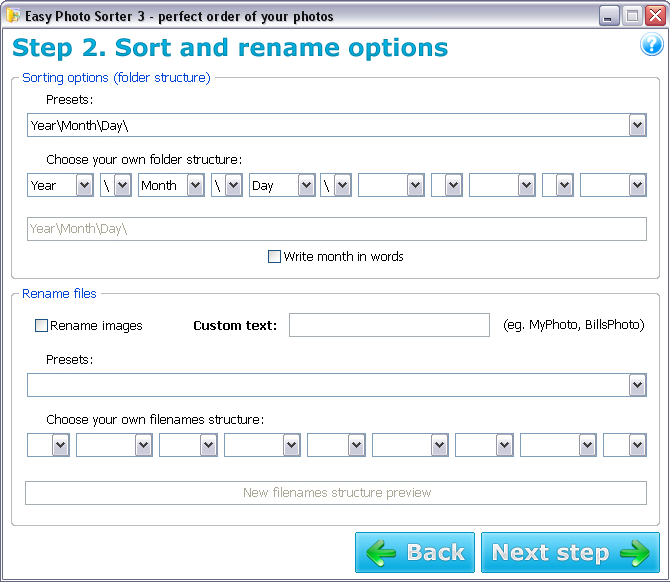 Easy Photo Sorter is here to help. Just select a folder filled up with images, and sort them by any of 12 different filters. Keep them in chronological order, make it much easier to enact batch changes via your favorite photo-editing program, and create a folder structure that is intuitive and easy to use. Even better -- today it's FREE! Please note folks: the German version of Easy Photo Sorter is also available during today's promotion. 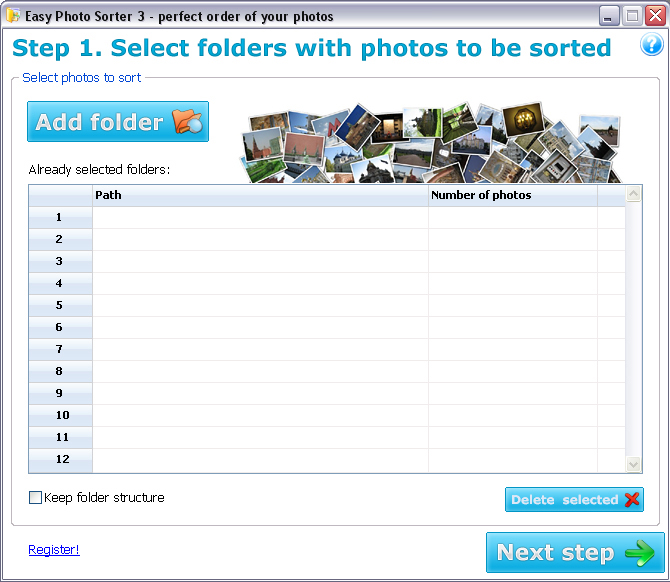 After you purchase Easy Photo Sorter it may be used indefinitely. 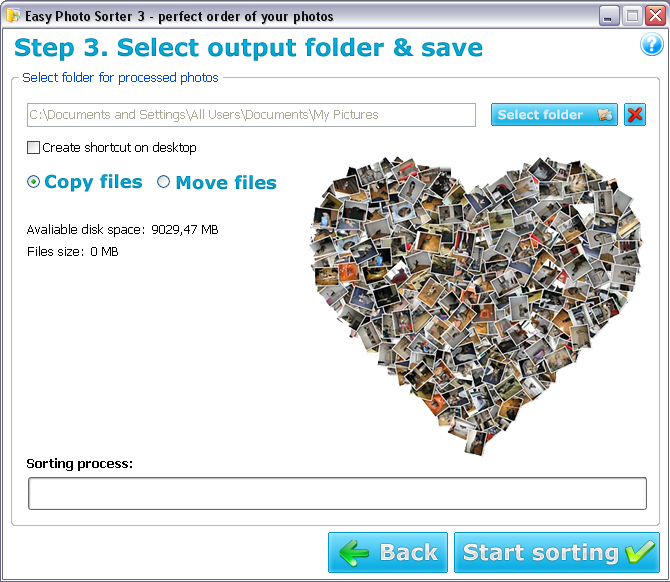 Easy Photo Sorter is licensed per user, so if more people are going to use Easy Photo Sorter you will need to purchase additional copies. Each license allows installation on 3 computers, but Easy Photo Sorter may not be used at exactly the same time on each of them. Maria Gerber This program is not helpful - it only makes a chaos! There is no reason to make for each date a new folder. For what? After years nobody knows the date when he has made a photo...but after working with this program (with a lot of photos) you have hundred of folders named by date - for nothing. A collection will be sort by themes, persons etc. but not by date. Normaly 23,50 for a tool that is useless - my dear. (a) Did you try it? If not, then the promise itself of the program appears to not be for you, and so and you don't need to criticize it. (b) No one sorts photos by ephemeral image content other than by PHOTOGRAPHER, DATE, LOCATION, and perhaps by CAMERA, including pros, who also micro collect photos by PROJECT. (c) It's up to a separate DAM Digital Asset Management program to let YOU identify ephemeral image contents, then search, sort, and select ON DEMAND what you are looking for on any day. For instance, if I have two photos of the same people in different places with different surroundings, do I sort by the people, or the location, or the items in the surroundings? I sort and collect by photographer, date, location of photographer, and maybe by camera. My challenge is to grab existing archives spread across many disks and drives as I find them, collections that are a historical mess, disorganized as you suggest by photos being anywhere, and instead, put them all in one place, order. My challenge is to identify the photographer, the camera, and the political location of the taking (for copyright differentiation), and I want to see if this program can help in any way with any of those tasks. Separately, I am exploring DAM programs for content, tracking distribution, sales, publishing, and so on. Thanks for exploring these programs, BitsDuJour. Scott Van Leeuwen Ran the installation and entered the code for registration and then added first folder and the error "Access Violation at address 00555FA6 in Module "PhotoSorter.exe" Read of address 000000D8. Not of to a great start. Any ideas software authours? b) creates even more folders - more junk to sort through! If you need to get organised try using "Search Everywhere" - you can supercharge your search functions with that. Also "Droppit" can help monitor folders and move files to specific locations. Both these programs are free. YOU don't search through 10,000 or 20,000 photos -- your SOFTWARE does. Collecting all photos in DATE directories makes sense because that's a primary data hierarchy for a computer t hold data for other software to search, sort, and select through. That said, Google's free Picasa is a gazillion times more powerful than this. Import photo files via Picasa into date directories, and you're done. However, in my case, 2 TB external drives hardly hold a smidgen of my photos, and so it will take many drives as time goes on, and even Picasa bogs down with half that, and I have 2 or 3 times that..
That's a manageable task for me to do daily. Then any DAM (Digital Asset Management) software can search, sort, and select WHEN I want to look for something. I do not want to organize by any category now, only to want to find something by another criteria later. Picasa lets you collect "virtual" catalogs without moving the image files from their DATE directory, so a collection for an anniversary, or of birds, or of all the cars I've owned, or of my partner's face for their birthday collage, which Picasa will build, I can all build on the fly, later. This software is a brutal tool with no forecast of what it will do, no undo, and no other imaging tools that are desperately needed to know what this tool does. Free Google Picasa it is. ricoh flex I have Easy Photo Sorter version 3-1 from other giveaway. But do not use it. I prefer to use Ken Rename in combination with Total Commander (which has its built-in Multi-Rename). In Ken Rename I created a Preset to insert the EXIF Date and Time Photo Taken into the front of the file name of each photo. Hundreds of photos can be renamed in a batch. If you like you can append file name suffix - descriptions to specific photos eg. Ramen meal in restaurant. Jim Hayes Installed and registered just fine. Tried to sort several different folders - nothing but errors. Uninstalled!. sahil waste I am not interested in any register-in-limited-duration software. Either duration is one day or 5, doesn't matter. I am not trying it. Peter Bailey Laughably bad, frankly - errors all the way. Roderick Nicolson Ah! Some kind of problem getting it. In the end it says I've already bought it, which of course I haven't, so now can't get it. 1. Select a folder with your photos. 2. Select one among 12 possible ways of sorting and one among plenty ways of renaming. 3. Select a folder for your collection to be copied and removed. Que La @Roderick Nicolson - We have just resent your receipt email. Please check your inbox and spam folder. Scott Van Leeuwen Why offer it two days in a row when all that is reported are errors in the software and the software Developer is not helping answer why? Worst software ever put on this site. Sorry guys.